A playful, old-time trailer serving up an Italian Sausage Hoagie topped with sauteed peppers and onions and served with chips, churros with chocolate sauce, or get your claws on dino drinks like ice cold sodas and frosty frozen lemonade. There are currently 0 reviews for Dino Diner. 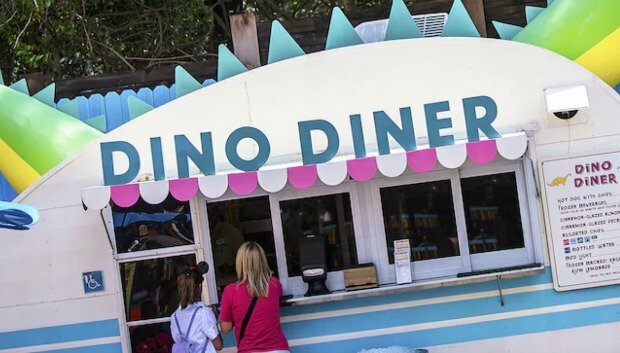 Be The First To Review Dino Diner! You can also search for Dino Diner specific threads!